All Lockers must be registered AND kept up-to-date using this simple online form. IF you are not wanting a locker, please still submit a form. If you don't have access to internet via a school computer or personal device, please visit the main office for assistance. 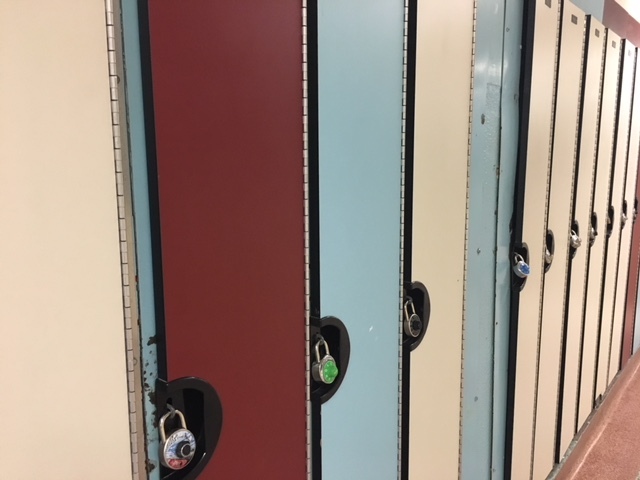 Lockers are the property of the SCDSB. ALL lockers and lock combinations MUST be registered with this form or in the main office. Lockers can be accessed/entered by school administration at any time. If access to an unregistered locker is required, the lock will be cut-off at the occupant's expense. All locks must be combination locks, no keyed locks are permitted. The school is not responsible for any loss or damage to the contents of lockers. The student registered to a locker is responsible for what is in their locker. Repair or cleaning of lockers may be charged to students who do not keep their locker in good repair.